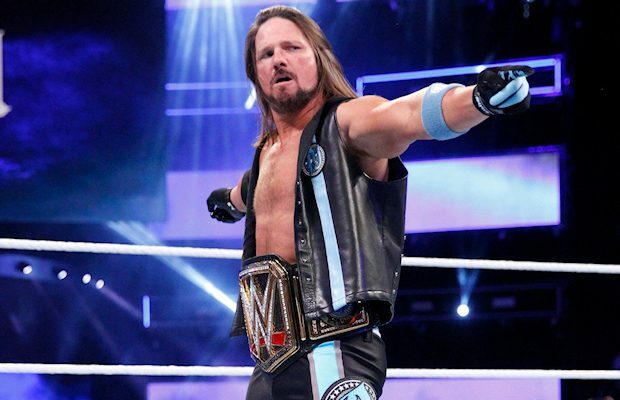 AJ Styles is on the cover of WWE’s next video game. 2K Sports held a press conference this morning to announce that Styles will be on the cover of WWE 2K19. The game will be released for PS4, Xbox One, and PC worldwide on October 9, but few other details were revealed at the press conference. Styles unveiled the cover on his Instagram account. Pro Wrestling Sheet reported last week that Styles would be on the cover of the game. The report also stated that Ronda Rousey would be the pre-order bonus character, like Kurt Angle, Goldberg, Arnold Schwarzenegger (as The Terminator), Sting, and Ultimate Warrior have been in recent years. Rey Mysterio was also there for the filming of this year’s commercial. 2K didn’t announce the pre-order character or release the commercial during the press conference. 2K Sports noted that pre-order availability would be coming later today. Styles talked about being a big fan of video games and promoted a million dollar contest where someone will have the chance to play against him in 2K19. Those who complete a new mode that has yet to be announced can submit a promotional video for the contest, with four semifinalists then being chosen to face off against each other. The winner will receive $1 million if they defeat Styles. There will be standard, deluxe edition, and collector’s edition versions of the game. Seth Rollins, Brock Lesnar, Steve Austin, John Cena, and The Rock were the last five Superstars to be featured on the cover of WWE’s annual video game.